2018 started not really knowing what to do with myself after the challenge to run every day had come to an end. As with the start to most years we set ourselves goals/challenges/targets to aim for throughout the year and I have been no different to the masses in this regard. What next for me? Well as a starting point my time has become a precious commodity, which if I could buy some shares in ‘extra hours’ in each week then I’d gladly pay for them! Sadly this isn’t an option. However, 2018 saw me juggling my time more and more to accommodate ID Coaching, the 1:1 sessions and group coaching are something that I am immensely proud of and continue to develop. Using my qualifications and coaching experience to begin to diversify what I can deliver and the roles I am volunteering in. I am also keen to develop fell running and navigation within the club and as a RR committee member I am fully supported in this vision moving forward. 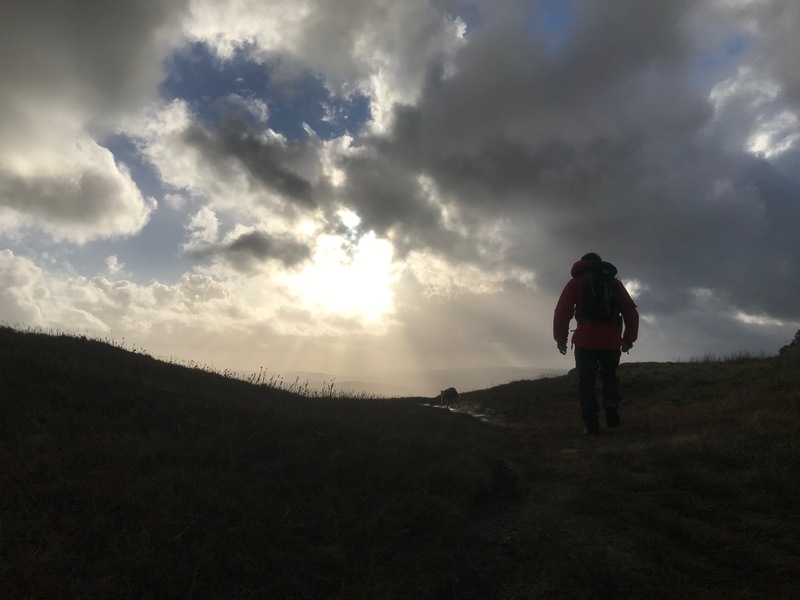 The success of yet another fell weekend has been very encouraging and there are some new ideas for 2019 in the pipeline. I am also looking towards the future and developing my own endurance running, being coached by a coach (yes we need them too!) and aiming for some of my own running targets for the year after a slight set back in terms of my target for the Lakeland 50. My target time drifted away from me after a slip and hip twist on Tilberthwaite. With almost 50 minutes ahead of my schedule prior to the slip I missed my target by 4 minutes in the last 3 miles, gutted. Track and interval sessions are really important to me as a coach, they give me an opportunity to help members to develop their running abilities in a safe group environment whilst adding some fun into what are tough workouts. I love to see improvements in athletes, not only in speed, but strength and conditioning too. Anyone who has been to track will know we like a good planking session or using the environmental gym on a local park, as well as doing 100m sprints! Huzzah for intervals! So, given my current commitments and plans for the future it is with heavy heart I have taken the decision to resign as Cross Country Captain. Having undertaken the role for almost 5 1/2 years I feel the time has come to allow another RR member to step up and help to build the cross country teams for the future. Our Chairman Philip Butler is holding the reins in the interim but I must say I have enjoyed working with the Mid Lancs League and the committee. I have also enjoyed supporting new runners to the fields and of course being part of some magnificent development in some of our runners who have now moved onto to wearing County and National vests. All very exciting as a coach but also – as a volunteer. I end my yearly blog as a former Cross Country Captain, but will continue to encourage all those around me to volunteer for a role within the running world. It could well be at your local parkrun, as Cross Country Captain or even on the RR committee. Who knows where the role will take you and your running experiences? My next stop is with the FRA. I will be found in the hills as a race liaison officer for the FRA over the next year. A role I am really excited about and keen to learn more about – helping to keep people safe and continue to enjoy time running in the hills. I hope everyone has a successful 2019 of volunteering, running and more importantly keeping healthy, fit and safe. I will no doubt see RR on the hills, at Track or in a park near you – as normal. Volunteering in a different way for 2019! Thanks to those who have supported me over the years with tent construction (and deconstruction), transport, numbers and cake baking. You know who you are and you are really the invisible back bone to Red Rose Road Runners – love you. What an amazing year you have had. An inspiring read. I’m a new RR member trying to get some fitness back from a couple of years off running.